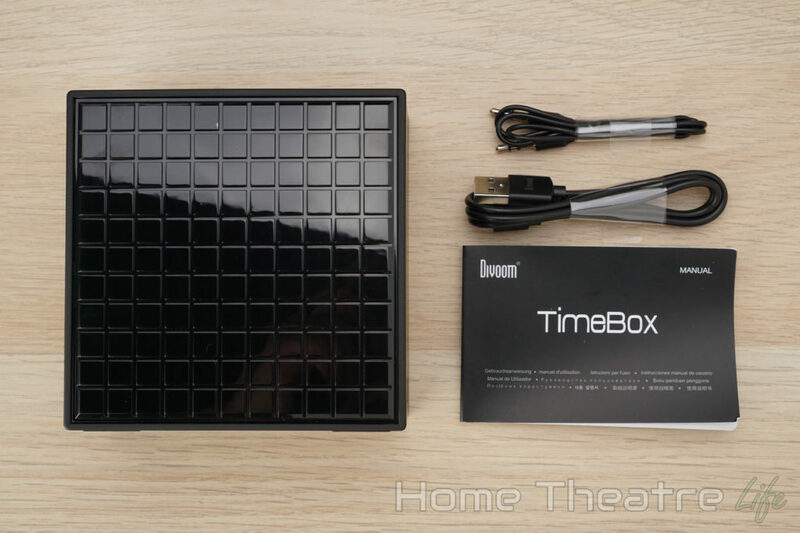 When I first received the Divoom Timebox, I have to admit I was pretty excited to review it. Whilst most Bluetooth speakers seem to offer the same set of features such as 3.5mm Aux in or a rugged design, the Divoom Timebox is one of the first Bluetooth speakers I’ve come across that tries to do something different. 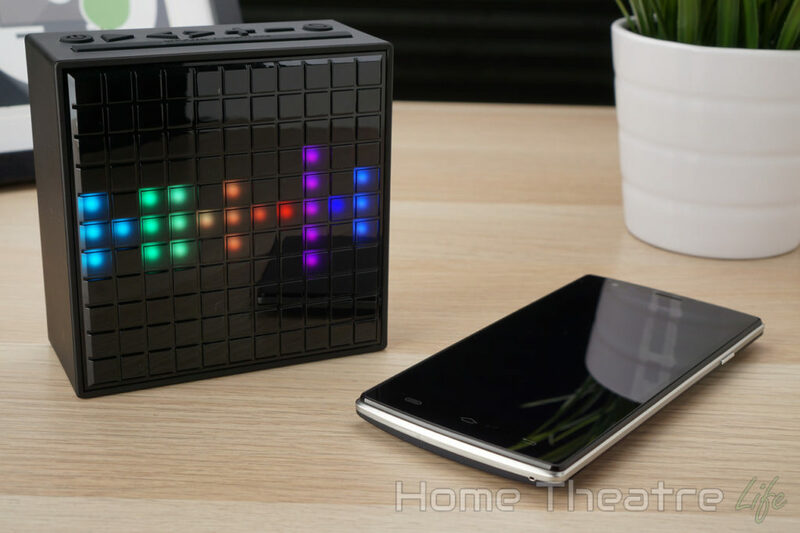 Coming in at around $50, the Divoom Timebox is a smart Bluetooth speaker that can do far more than just listen to music using its 5W speaker. 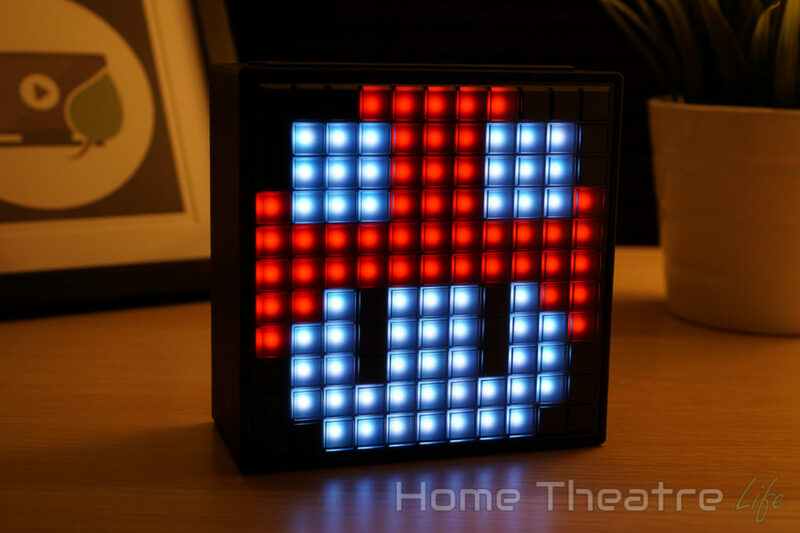 Thanks to its 11×11 pixel display featuring 121 RGB LEDs, the speaker can display images, playing games and more using the dedicated Timebox app. This is in addition to an impressive range of features including the weather, notifications, games and even a built-in messaging service. Is the Divoom Timebox worth it? Keep reading my Divoom Timebox review to find out. What is the Divoom Timebox? If you’ve ever wished your Bluetooth speaker did more than just play music, the Divoom Timebox is just what you’ve been looking for. 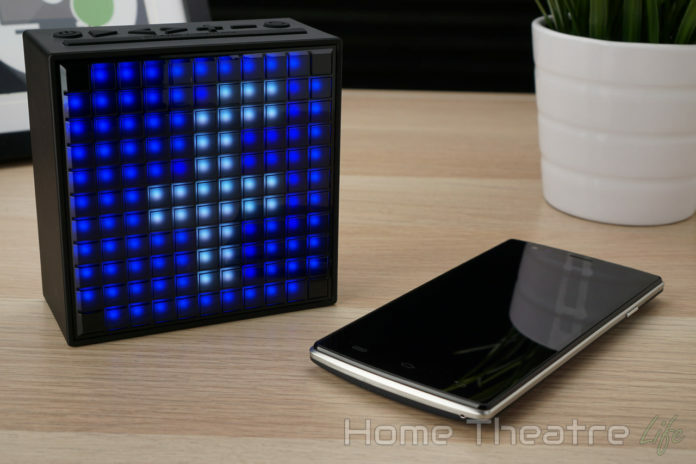 Aside from being able to play music from your smartphone (via Bluetooth or 3.5mm Aux in) and FM radio, the Divoom Timebox’s most unique feature is its large 11×11 pixel display. 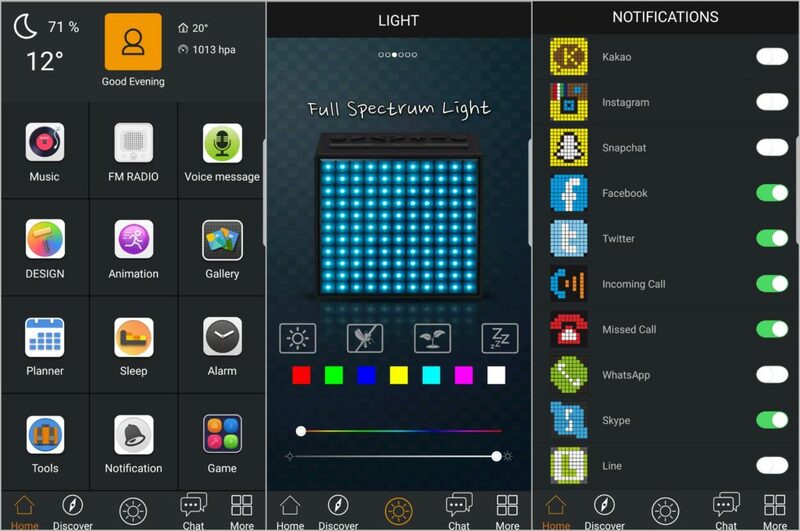 Featuring 121 RGB LEDs, it can display preset images and animations, or you can use the Timebox app to show your creative side and create your own. The Divoom Timebox is available from GearBest and Amazon. 1 What is the Divoom Timebox? 10 Should You Buy the Divoom Timebox? There’s no charger inside the box, though any USB charger will work. 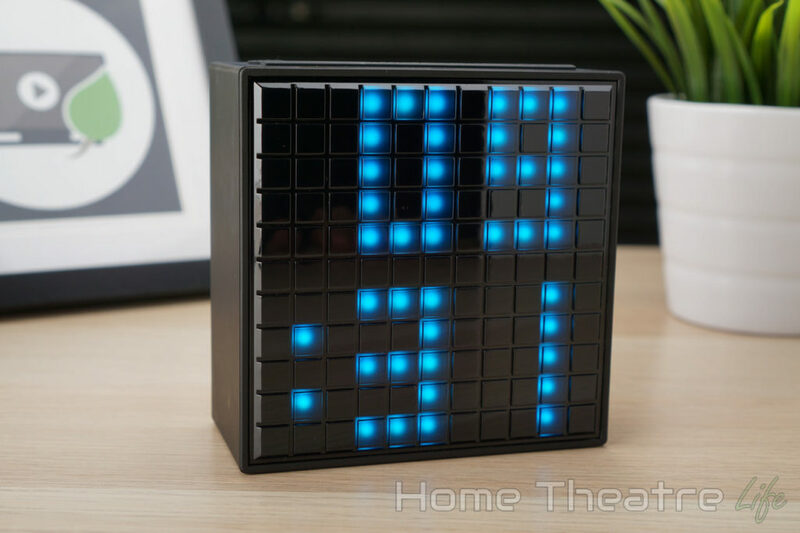 The 11.4×11.6×5.5cm DIVOOM Timebox definitely stands out, mainly due to the large, glossy LED display on the front of the unit. You can display images, animations and notifications on this 11×11 pixel canvas, which consists of 121 RGB LEDs for an impressive range of effects. Whilst this is obviously ultra low by modern standards, it allows the speaker to offer some pretty unique features which I’ll get to later. There’s a set of buttons along the top, with full media playback controls, power button and even a snooze button for the built-in alarm feature. Around the back is the large speaker grill, 3.5mm aux in port and a micro USB port for charging the unit’s 200mAh battery. The rest of the case is plastic with a nice soft-touch feel that makes it feel more “premium”. There’s several colors available – I’ve got the black version, though it’s also available in white and wood finish. Getting up and running with the Divoom Timebox is simple. Just download the Timebox app from Google Play or iTunes and turn the Bluetooth speaker on by holding down the power button for several seconds. The app will ask you to log in (though you can skip this) and guide you through the pairing process. If you decide to create an account, you’ll get access to cloud-based settings and access to Divoom’s messaging service that lets you send messages to other Timebox owners. That said, I didn’t know anyone with another Timebox speaker, rendering the messaging service pretty much useless. The app has a number of pre-installed images and animations (like Pokémon and Emojis) that you can display with a tap, though you can jump into the app’s design studio to create your own using the intuitive Paint-like interface. There’s also a few useful apps like a virtual dice, score keeper and stop watch that would come in handy during a party. Navigating through the app is relatively straightforward, though the Timebox app itself is rather clunky (at least on Android). The back button isn’t always back so I had a few trips to the app’s home screen to reach a different feature and often had issues trying to set an alarm. Hopefully a future app update fixes these issues. Using the Divoom Timebox as a Bluetooth speaker as easy as any other Bluetooth speaker. Once you’re paired up, just play music from your favorite app like Spotify and you’re good to go. You can also use the built-in FM radio, though I’d recommend connecting the aux cord as it acts as an antenna to improve reception. Whilst the music is playing, you can activate a number of visualizations on the display using the Timebox which react to the music which is neat. Those who like relaxing sounds of rain or the ocean will also enjoy the built-in ambient sound library with a surprisingly large range of tracks to help you tune out. You can even use it as a hands-free kit thanks to its built-in microphone, though the microphone isn’t the most sensitive thing in the world. The clock and temperature sensor are great, if a little basic. You can tweak the colours using tons of presets, but with only one design available, it feels like a missed opportunity. The other features work well, though I’d argue some of them such as the games won’t get much use beyond the first few times. Divoom claims that the Timebox should last around 4 hours for music playback. After my tests, this feels about right as I was still listening to music after just under 4 hours with the display on. When using the just the alarm, I easily got 2 weeks out of a single charge. The Divoom Timebox’s sound quality genuinely impressed me. I thought that the Timebox would be a gimmick, with sound quality as an afterthought. I’m glad I was wrong. Highs and mids are reasonably crisp and bass is pleasingly punchy for such a compact speaker. It’s certainly not the best Bluetooth speaker I’ve used but it’s one of the better ones I’ve reviewed. The 3″ 5W driver is also reasonably loud, offering plenty of volume for personal listening or adding ambiance to a small room. 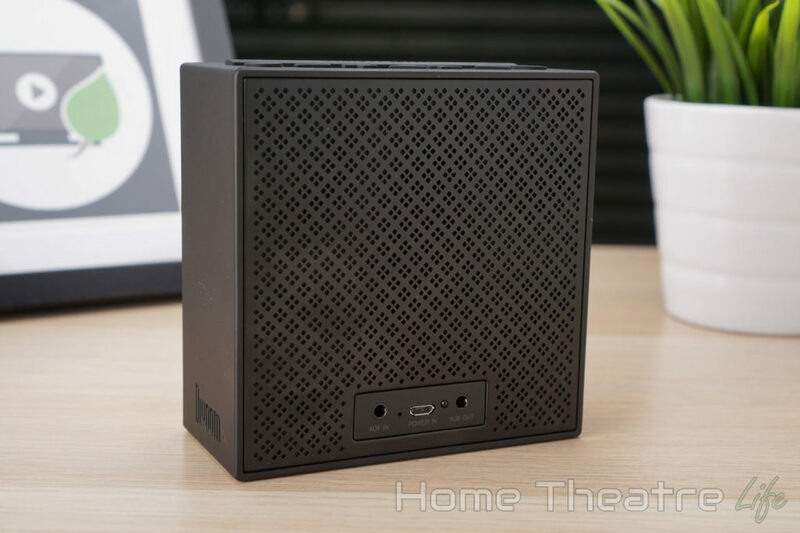 Divoom also have a similar Bluetooth speaker called the Divoom Aurabox which costs less than the Timebox. So what’s the difference between the Divoom Timebox vs Aurabox? The Divoom Timebox and the Aurabox have a similar set of features. Both devices will play music via Bluetooth, display images and notifications on their screens and more. However, the Divoom Timebox boasts a slightly larger display (11×11 pixels vs 10×10 pixels on the Aurabox), a more comprehensive set of multimedia controls and an FM radio. If you’re trying to choose between the Divoom Timebox vs Aurabox, I’d recommend the Divoom Timebox due to its more comprehensive feature set as I found having things like the FM radio and Snooze button very handy. However, those wanting to save a few bucks should grab the Aurabox as you’ll get 90% of the features anyway. Should You Buy the Divoom Timebox? The Divoom Timebox is an impressive little speaker with some very unique selling points. I really enjoyed the smart features such as the notifications and temperature and it’s great fun to play around with the visualizations or create your own images. There’s really not much else on the market that can rival its features and that’s why the Divoom Timebox has earned a permanent spot on my desk. Whilst its app needs more polish and I do wish the speaker had stereo drivers, if you’re wanting a unique LED gadget that doubles up as a decent Bluetooth speaker, I’d recommend the Divoom Timebox. The Divoom Timebox offers an impressive featureset compared to other similarly priced Bluetooth speakers, making it a compelling buy. Whilst the app could use some polish, the Divoom Timebox is a great purchase for those who like truly unique gadgets.